Sarasota, Florida is a town of 52,000 (the Metro is much bigger) on Florida's Central West coast on the Gulf of Mexico and Sarasota Bay. Colleges include the New College of Florida, a public liberal arts college, and Keiser College of Sarasota, a private college, among many others. Development began in the 1920’s; the town has dozens of historically significant buildings and institutions. 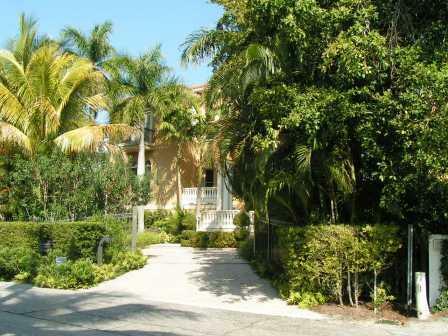 This popular community is considered by many to be the cultural capital of Florida. 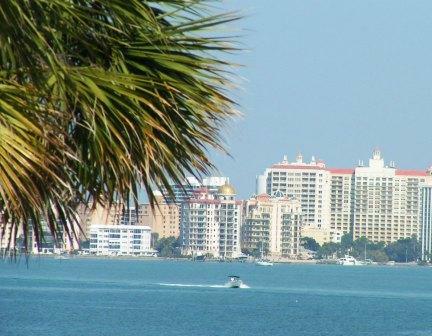 Sarasota has one of Florida's best downtowns with many interesting neighborhoods. An impressive array of cultural facilities are gathered there, along with high-rise, luxury hotels. The Ringling Brothers located the winter quarters of their circus here. Their philanthropic legacy has made Sarasota a cultural powerhouse. The John and Mable Ringling Museum of Art, one of those institutions, is one of the most impressive museums in Florida. One of Sarasota's top attractions comes at the end of a bridge from the downtown harbor - St. Armand's Circle. This delightful circle is surrounded by elegant dining, shopping, and luxury housing. Some residents live in apartments right downtown, while others choose from a delightful array of housing options in various neighborhoods in town. Homes on exclusive keys such as Longboat Key and Siesta Key, where towering apartment houses and huge mansions overlook the gulf. An enormous array of gated golf and active adult communities tend to be nearer the Interstate (see link at left). According to the National Association of Realtors, the median sales price of a home in the Sarasota/Bradenton/North Port area was $295,000 in Q4 of 2018 . Zillow reports the median home value was $262,700 in early 2019. John and Mable Ringling Museum of Art; charming ambience with historical background to the 1920; the Cincinnati Reds has spring training here; Bobby Jones laid out the city golf course; many buildings on the National Register of Historic Places; something for every active adult 55+. There are a lot of tourists and traffic in winter; hot summers. Sarasota is on the coastal plain. It is surrounded on most sides by water and is a tropical, flat environment with warm winters and hot, rainy summers. Islands called keys radiate away from the city and out into the Gulf of Mexico. Sarasota, arguably Florida's cultural capital, is the home of Florida West Coast Symphony and its famous Sarasota Music Festival. Also home to the Sarasota Ballet, Sarasota Opera, The Players, and numerous other musical, dance, artistic, and theatrical venues. John Ringling purchased an entire historic Italian theater, the Asolo—which he had broken down and shipped here. Later, Stuart Barger designed and oversaw the construction of another Asolo - a multi-theater complex. The new complex provides several other venues for students of Florida State University's theatre arts and film program. The crime rate in Sarasota is about double the national average. However, that does not report the entire picture, since there are big differences between the unincorporated area and the incorporated areas of the city. It is much lower in the unincorporated areas, and that is where most retirees would choose to live. • Doctors Hospital Of Sarasota • Healthsouth Rehab Hospital Of Sarasota • Sarasota Memorial Hospital • Sarasota has an enviable supply of doctors and medical resources. Sarasota-Bradenton Airport (SRQ); Amtrak offers a bus service in Sarasota that takes you to the train station in Orlando; Local bus service; Sarasota is about average in walkability when compared to other communities.